Try something new to raise much-needed support for disconnected youth on the streets. Thank You For Making ATC's Holiday Party Amazing! Program Manager, Anna Fai shares what it really means to meet clients where they're at. Thinking about homelessness can be overwhelming, and there’s a lot of misinformation in the news and on social media. Read on for our responses to some common misconceptions about homelessness. Founding Executive Director, Rob Gitin shares an important update. Program Manager, Demaree Miller reflects on his work with clients. In celebration of our 20th anniversary, we interviewed more than 30 clients, current and former staff and members of our community of support to create an oral history of At The Crossroads. ATC moved into our brand-new, long-term home! Join us on Mt. Tam for Summer SunDay 2018! 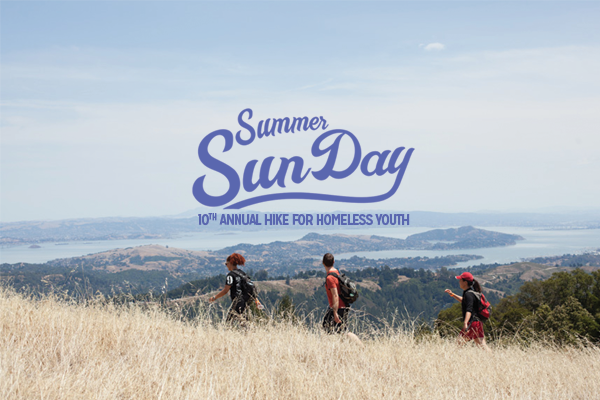 Enjoy a gorgeous hike and raise money for a great cause.